This post was created in partnership with LG. When you have four kids, laundry becomes an event in your life. 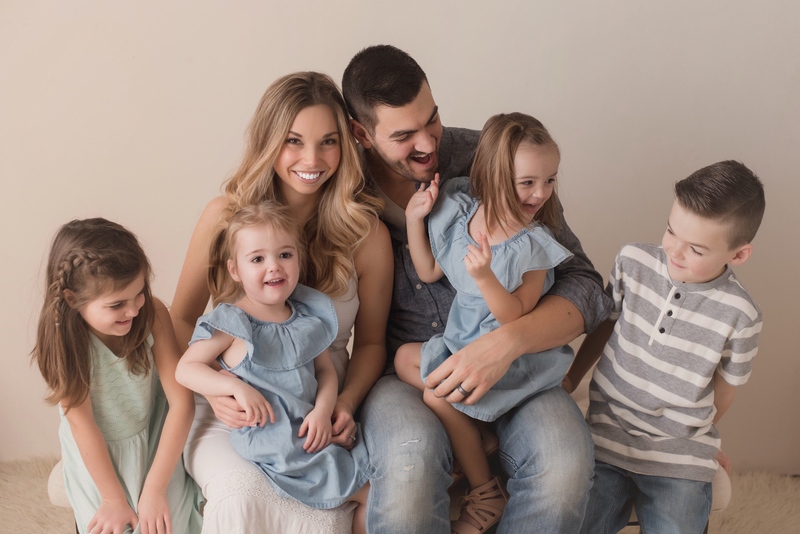 In fact, laundry for Mike and I have become such a weekly event that we created a popular YouTube series called The Fold and our entire laundry routine has been featured on Baby Center. There definitely seems to be a fascination with how a large family tackles laundry… successfully. Often when I talk to other parents, their biggest dread when it comes household chores is laundry. But not us, we use it as a time to relax, reconnect and reset before the week starts. Now, if we could just fall in love with doing the dishes the same way. Well, I am excited to announce that we have been working very hard behind the scenes to create the laundry room of our dreams. We decided to flip our home on its head and turn our laundry room into a mudroom (still a work in progress) and then create a brand new laundry room in our newly finished basement. This larger room, although still a work in progress, is coming along nicely and I will be posting the reveal soon. 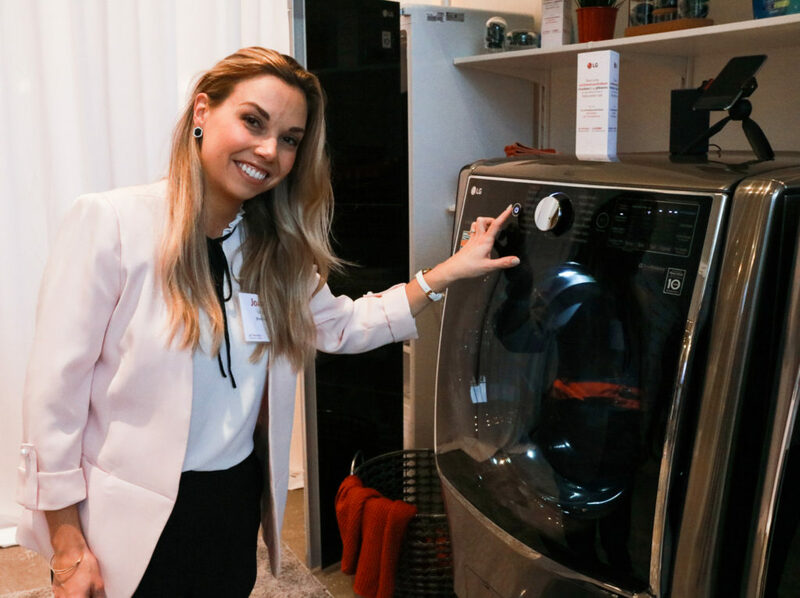 In the meantime, I am excited to share that I’ve partnered with LG for this transformation, and a little while ago I attended an event with fellow content creators, where I was able to get a sneak peek at their latest washers and dryers, and a very cool new product called the LG Syler. Our beautiful, and charming host Coco Rocha walked us through each of the most recent LG laundry room appliances. 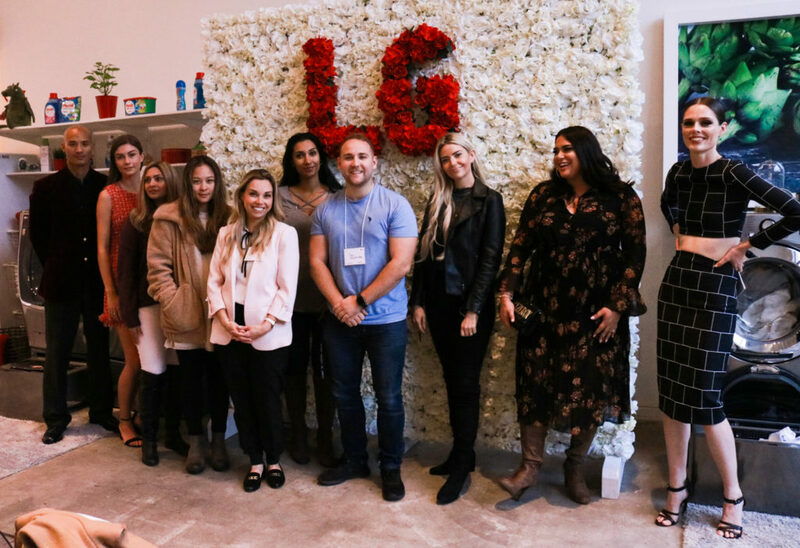 Everything she showed us received ohhhhs and ahhhhs from the crowd, including the LG Styler, which basically steams and deodorizes clothing like jeans and suits and be plugged in anywhere including a closet because it has portable water container. Yes, I believe this is something that Mike needs one day. But then I fell in love. 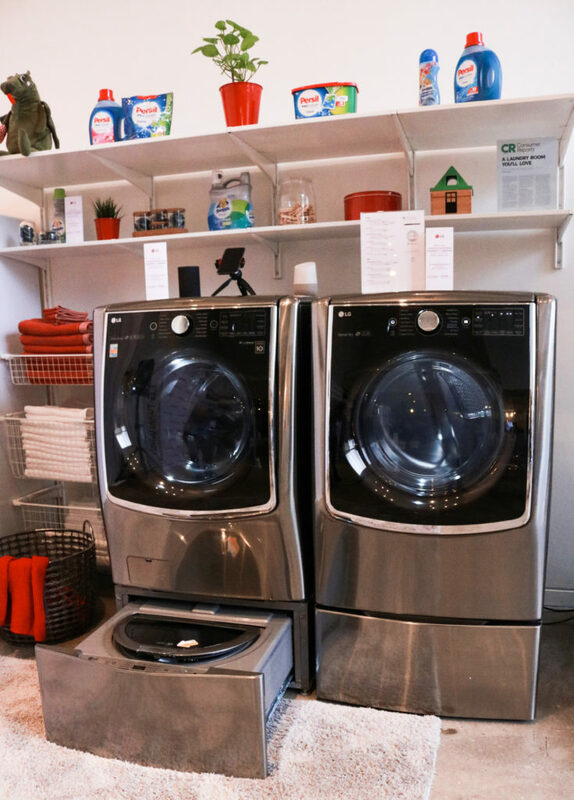 We learned all about the LG Twin Load Washers, (the ones that will soon be in our laundry room at home), and I was in disbelief of it’s capabilities. The Lg Twin Washer can wash a big load in the front-loading washer up top while the smaller LG SideKick™ unit simultaneously washes a second load down below. The LG SideKick™ is also great for a very small load, including intimates. Not only is the Twin Wash quieter and faster, you can actually program it to send notifications to your phone! Amazing! So keep your eye peeled for two videos coming up very soon to reveal our new laundry room and all of the exciting features we’ve included. Disclosure: This post was sponsored byLG. While compensation was provided, all opinions expressed herein are those of the author and are not necessarily indicative of the opinions of LG. Next Next post: Was I Being “Body Positive” Or Destroying My Health?